The eyes may be the windows to the soul, but in complementary medicine they are also used as powerful diagnostic tools. The eyes have always been used in describing emotional states like "eyes blazing with anger" or "starry eyed with love" etc, yet their functionality also extends into helping us assess our health status. The iris of the eye is used in segments and divided like the face of a clock and also divided into circular layers from the outside of the eye inwards towards the pupil. The outside circular layer refers to the skin which is then followed by circulation, then lymphatics and then a layer containing references to organs, muscles and structure, followed by the nerve wreath, then the layer of the intestines and the layer closest to the iris refers to the stomach. 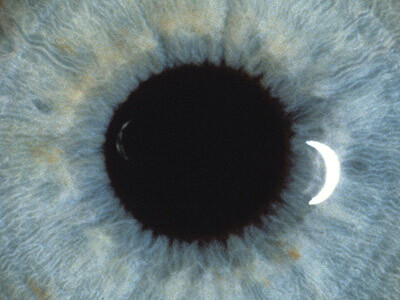 Marks found at a specific point on the iris, represent a specific organ or body part and it is interesting to note that you will normally find a black, diamond shaped hole appear on the iris just after surgery or after massive injury to that specific part of the body represented in the iris. The texture (the look of the filaments) of the iris is also of importance to people practicing iridology and is referred to as the "structural type" of the eye and is categorized such as silk, linen, hessian or net, or using wood grains such as hardwood, oak, maple and pine. The area or iridology is an extremely interesting one, and well trained professional iridologists can pick up possible health problems in the eyes before they even manifest properly in the body.